The Quintet Churches are a group of five Anglican churches who meet for worship in the beautiful Hertfordshire countryside in the Diocese of St Albans. We are located just east of the market town of Buntingford and are part of the Buntingford Deanery. Together we seek to serve our communities, worship God and live His values of love, peace and justice. Christian have worshiped and ministered in this area for over 1,000 years. So it is our privilege to be the latest generation to continue the story of the body of Christ in our villages. We are delighted you have found our website, we hope you enjoy browsing these pages, and to meet you in person soon. P.S. Our website name quintetchurches.com references both the river Quin which flows in our midst and the quintet or five churches in our benefice. If you would like to speak to a mamber of the ministry team, please call or email us. You can contact the Rector, James Sawyer on 01763 289 258, or email him via this link EMAIL. Please note, James's day of is normally Friday. Calls may be montitored and/or recorded for training and security purposes. You can now sign up to regular updates that keep you informed of what's on; just complete the form below. Your info will not be shared and you can unsubscribe at any time. All are welcome to attend our churches as and when you wish. But sometimes it's good to deepen our reltionship and say we belong. 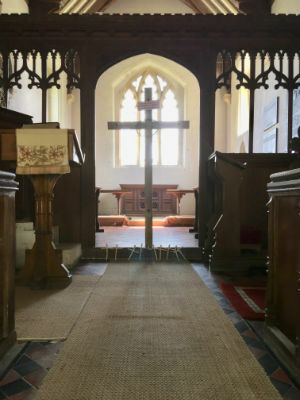 If you are baptised, a member of the Church of England or another Christian church in communion with it, and live locally, you may like to join the Electoral Roll of one of the five churches in the benefice. Its a forst step to getting involved and shaping the church to be relevant for generations to come. To join, complete this form and drop it off to the Vicarage. See also our Electoral Roll privacy notice here.